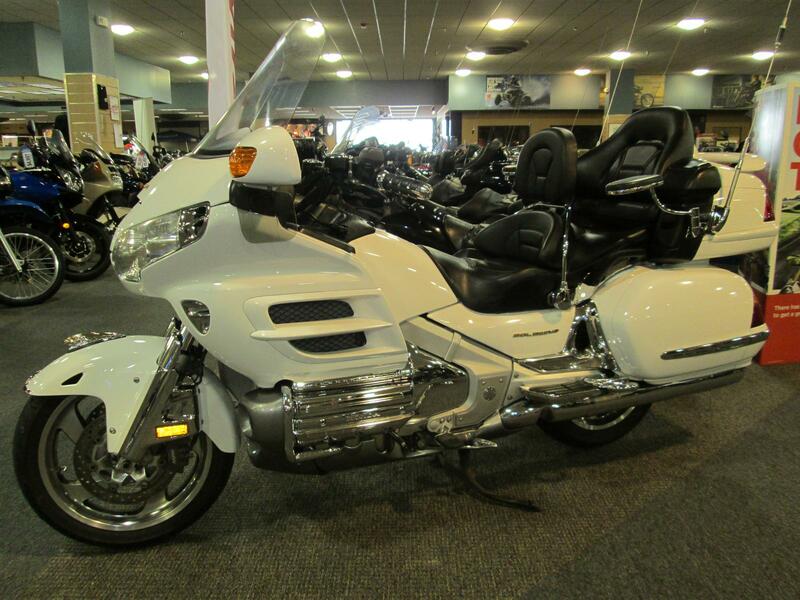 2004 HONDA GOLD WING PREMIUM AU, Well cared for trade in. Nicely outfitted with a lot of chrome extras. Get out and start enjoying the vehicle right away with peace of mind knowing that Thompson's Certified Used Motorcycles have had a 67 point inspection including oil and filter change. Ask for the details specific to this model and a copy of the inspection form. All Honda pictures are kind of Honda HD motorcycles picture was taken, including motor fuel gauge, engine, engine mounts, tires, fuel tank, the car handles, lights and so on, 2004 Honda GOLD WING PREMIUM AU full-screen viewing,2004 Honda Motorcycles today Price: $13,497 .